I know seamless foundation, matte lips and superb contouring are all the rage right now, but since when have I followed trends? 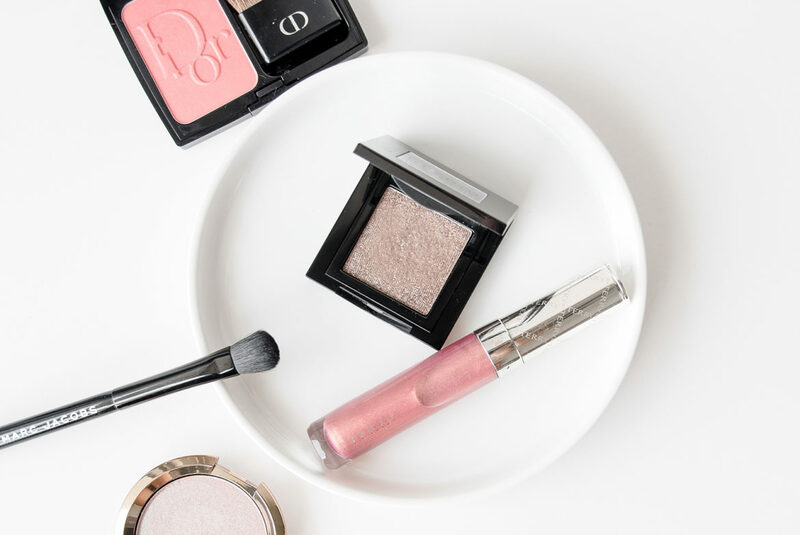 Today I’m sharing a couple of oldies but goldies, beauty items that I’ve rediscovered since a few weeks ago and can’t stop reaching out for whenever I need a quick fix-me-up before heading out. 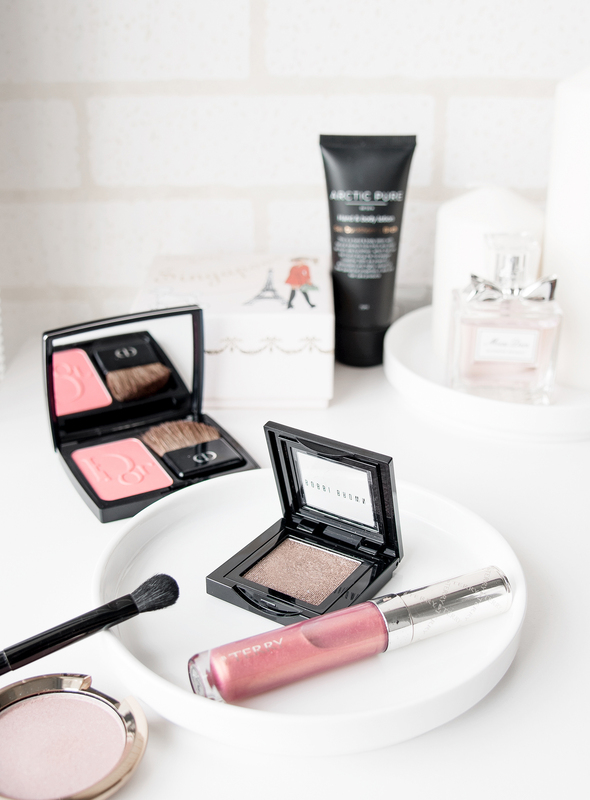 For some reason, I’ve been into glitter and sparkle lately and I can’t resist the prettiness that is the Bobbi Brown Sparkle Eyeshadow in Cement. It’s so easy to wear that I apply it alone with my finger all over my eyelids. Although the brown shade doesn’t come off much onto the skin, it gives a very natural finish by adding a touch of colour. And that sparkle, is so pretty! Feels like Christmas. The By Terry Gold Digger lip gloss is another current favourite and I wear it together with the eyeshadow (doesn’t take more than 3 minutes in all, I swear). It’s moisturising and very juicy. I mean that’s how my lips look like when I’ve got that gloss on! The colour has medium coverage, and it’s got red, pink and gold sparkles in it. See my swatch below, taken in all natural lighting. When my tube runs out, I’m definitely restocking! I know I said I was only going to share a couple of my quickie favourites, but I thought to also share my current blush love, the one from Dior. It delivers a very natural, slightly shimmery, peachy shade on my cheeks, so you can’t tell I’ve got blush on but I still exude some radiance. And my scent of the moment is, of course, the Miss Dior Blooming Bouquet, which I’ve talked about in this post. Smells like romance in Paris – how can anyone resist that? Talking about Paris, you need to check out my top 3 hidden dessert spots there. Back to Basics: My Lazy Makeup Favourites was last modified: September 22nd, 2017 by Roxanne C.